An Extraordinary Boy is the sci-fi tale debut from British born author Vernon Hewitt, a senior lecturer at the University of Bristol. The book opens with the discovery of a pair of boys in the Leicestershire woodland, who had previously been abducted from a hospital. It soon emerges that 12 pairs of children from across the UK have been abducted from hospitals and returned by an unknown entity. All these children have one thing in common, they were admitted to hospital after being diagnosed with a specific form of cancer. Even though at least one of the children was told he only had months to live previous to their experience, each one of the abducted children was returned completely cancer free. A secret government board is created to investigate and report on the alien abductions. This is made up of Julian Grey as chairman of the board (a well-respected geneticist), his wife Sally Grey (a Doctor) and Louis DeMarr (the governments principal scientific advisor and once a student of Julian Grey). These and a few others agree, disagree, argue, plot and scheme their way through the novel. It is soon realised that the final pair of children to be returned are different from the rest. They are Max, the younger and Jonathan the unusual one of the group, who it is discovered was misdiagnosed and was never ill in the first place. So why was he taken? The parents and carers of these children quickly begin to turn against their children and refuse to take them back, both under the assumption that their children were no longer the same and that something had taken them over. Julian and Sally Grey go on to adopt Max and as he gets older, he starts to change and as he approaches his eighteenth birthday, the story starts to unfold and the reasons for his abduction start to become clear. From reading the description on the back of this novel, I was intrigued straight away and looked forward to reading it but for a few different reasons, this book just never grabbed me. The science is great, complex enough to be believable but simple enough to be understood. After discovering the author has written a number of papers and reports himself, this all made sense and made me realise what it was I couldn’t connect to. There just didn’t seem to be any warmth to the characters, even when the emotional scenes are being carried out, they felt slightly soulless and the story comes across as being reported rather than a story being weaved to entertain. The character of Max’s best friend Jamie feels like an attempt at inserting warmth but as this attempt came across as continual crying and whimpering, it became truly aggravating after a while. One other thing I really struggled with in the plot was a ‘forgotten’ or ‘ignored’ piece of evidence. One of the main characters simply ignores/forgets reports of a piece of evidence, a possible alien artefact, taken from the woods after the discovery of the boys, by one of the characters he doesn’t trust. It is hard to get on board with the story when you find a hole in what tries to be a very logical plot. At one point towards the end, I did feel like I was, at last, getting caught up in the story as it neared its finale. At this point, the next chapter was written from the perspective of a different character and slightly earlier in time, destroying all the tension and pace that had been built. Very frustrating. As you can probably tell, I am afraid I really didn’t enjoy An Extraordinary Boy. I loved the idea but it just didn’t work for me and if I wasn’t reviewing it, I am pretty certain I would not have read it through to the end. If you’re looking for something creepy to read try The Three by Sarah Lotz. 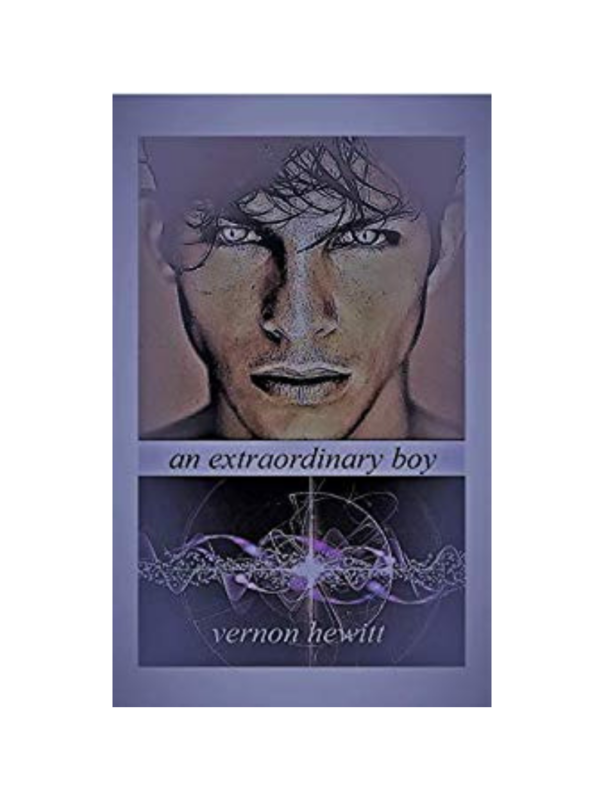 Buy An Extraordinary Boy by Vernon Hewitt from Amazon here.